…that also include the subset urging solidarity driven groupthink as the only possible antidote to divisiveness, In this Whole Self Leadership article, Kate Griffiths explores what it takes to move from a place of fear to a place of trust by suggesting a five step process that allows cohesive communities to form....and asks "how do we build cohesive communities?" …time enough for the present tomorrow…for now, a range of views on the future of education. Like it or not, the present will still be here when we wake up: Union County College in NJ stalling for over a year on negotiations with adjuncts; Northern NM College, still behaving badly (worse actually); adjuncts organizing but not everywhere; contracts approved, for better or for worse; the AFT Contingent Faculty Caucus, a welcome reality; in California, AB 2705 moves to the Senate and contingent faculty closer to being renamed, losing the problematic part-time designation. Maybe the DoL will take the and follow suit. …the #NNMC story in drafts that I should have stayed awake to send out two days ago is, by now, somewhat superseded by a more recent article in yesterday's Albuquerque Journal. Instead, see below for a list of NM news links to stories about the NNMC mess. How recyclable the earlier draft commenting on a Santa Fe Mexican article remains to be seen. Neither paper generally spends much non-booster time on higher education, so coverage now is both a plus and a sure sign just how bad things are. If this were a higher profile part of the country, higher ed media would be all over the story like white on rice. Presumably the state AFT Chapter would be paying more attention to their local than NM AFT, which does not even have an NM higher education page. Let's hope everybody — in-state and out — wakes up and starts paying attention. I'm making a project out of helping that happen. 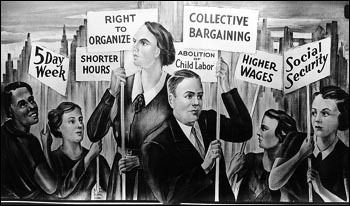 …an idea and article worth revisiting: a 2012 Dissent Magazine article by Century Foundation senior fellow Richard D. Kahlenberg and labor/employment discrimination attorney Moshe Z. Marvit, also authors of Why Labor Organizing Should Be a Civil Right: Rebuilding a Middle-Class Democracy by Enhancing Worker Voice. I am hoping we can get a press release up later today. In the meantime, Mary Faith needs our help. She wants New York Governor Cuomo to meet with her to discuss the plight of adjuncts in New York state. You can support her hunger strike by writing to Gov. Cuomo's Correspondence aid, Kelly Brady at kelly.brady@exec.ny.gov and/or ian.rosenblum@exec.ny.gov. Ian Rosenblum is Deputy Assistant Secretary of Education. Ask Governor Cuomo to meet with her ASAP. Given that she started her hunger strike last Friday, it would help to move fast. 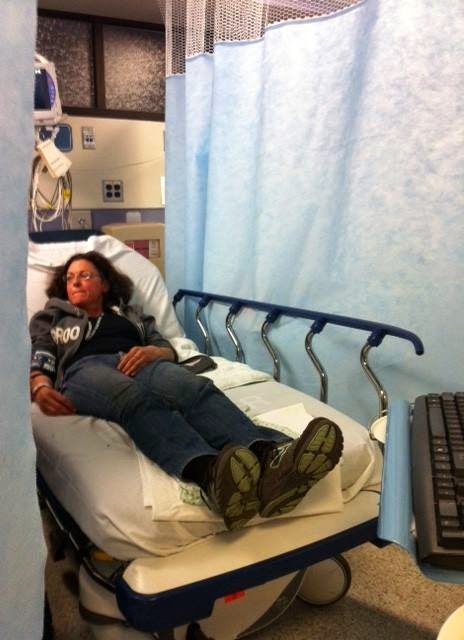 …Friday May 9, homeless adjunct Mary-Faith Cerasoli began a hunger strike. Tomorrow will be Day 6. Her objective is to complete what she started in March 28 in Albany at the New York State Department of Education: get the attention of and a meeting with Governor Cuomo about her situation and that adjunct faculty in New York State; bring a attention to the condition of adjunct faculty across the country. Saturday was #BCCAgora, which, not withstanding occasional tech glitches, an encouraging success for organizer Fabian Banga. Glitches go with the online conference territory, so anyone bothered—get over it. The conference and video open with Audrey Watters on Robots and Education Labor; the adjunct session starts at 2:18:06 ~ I tried but couldn't figure out out how to key the embed to start then. All (coffee breaks excepted) are worth watching. English is now the only serious global scientific language, says Peter Scott. The global spread of English has boosted the success of UK science, and has also helped to recruit international students to UK universities. But living in an English-speaking country is also a curse, Scott argues. …did you catch the #ClassDismissed catalog of academic complaints, mostly faculty and with an emphasis on adjuncts? This Facebook timeline message appeared: "Please tweet ‪#‎adjunctsdomatter‬ with ‪#‎classdismissed‬.. I am having one of those epiphany moments. Another good add on option: #studentsmatter. Presumably, "anything" refers to education, but what's to keep you from trying unexpected combinations that could prove even more interesting. Here are recent examples (all but one with just #ClassDismissed). What tags would you add? What would students tweet? K-12 teachers? What's in a name? In a URL? …Just a quick note announcing our new blog url—short for Uniform Resource Locator—or just plain address, http://www.precariousfacultyblog.com, now matches its name (with 'blog' tacked onto the end just so no one confuses it with Precarious Faculty on Facebook or @precariousfac). Everything is still hosted on Blogger and in the same place, complete with archives and working links. The original address will still bring you here, morphing into the new one before you arrive. Whether exercising prescience unawares or expressing an unconscious sense of unease, August 13 of last year, I blogged, What does a theory of change look like? Moving abroad to teach can be a complicated and uncertain process, full of cultural adjustments, visa challenges, and for some seeking a better way of life, can involve the violation of their rights. The launch is being accompanied by the release of a broad study commissioned by EI, "Getting teacher migration and mobility right," which garnered usable responses from 1,358 teachers from 53 home countries who worked abroad in 127 host countries. This represents the largest and most extensive known survey of migrant teachers and offers useful insights to inform engagement by various stakeholders. The study is the result of EI and its member organisations ongoing efforts to protect migrant workers, particularly teachers and other education employees and their families. "As a global union dedicated to teacher's voices and dignity, as well as to quality education for all students around the world, EI has long recognised the profound importance of international teacher migration and mobility," said EI General Secretary Fred van Leeuwen. "We acknowledge that international migration and mobility has become a global phenomenon, representing a notable challenge for many countries, and risen to the top of the policy agenda in many parts of the world", he stressed. Through the website portal, Migrant Teachers' Rights, teachers going abroad to teach will find valuable information. The site includes a useful checklist, educators' fundamental rights, along with the opportunity to meet others and share stories. For unions, the portal will provide resources, strategies, and examples of best practices. The report, commissioned by EI, also seeks to elevate the voices of teachers in order to better understand their motivations for migrating, the benefits they gain from their experience, and the challenges they face. The study reviews existing literature on teacher migration and publicly available data sources, as well as information collected through research visits to a range of source and destination countries. Education International is the voice of the teachers and other education employees across the globe. A global federation of about 400 unions in more than 170 countries and territories, it represents 30 million teachers and education employees in education institutions from early childhood to university. … My good friend and colleague Vanessa Vaile, of @PrecariousFac fame and/or notoriety (depending on what you think about the Facebook impasse still going on), has asked me for quite some time to write up something about the image I have consistently employed since I started my petition for Adjunct Justice two years ago now, which I continue to use on my site, as well as in anything I formally write. But one thing has led to another, and I have never gotten around to it. The other day, however, I was perturbed by an article I read at Chronicle Vitae, "Sharecroppers. Migrant Workers. Adjuncts?" by David Perry. I thought the author might have been referring to my page, Adjunct Justice, when he wrote about the slaves of Egypt. Although he cited another piece, he left me thinking that I should clarify my use of metaphor and image, and that I should please my friend while I was going about it — hence my explanation for my use of the scribes in Egypt. The image I employ in Adjunct Justice are scribes, the best paid of Egypt's society. Yet as a modern society, many of us do not know this. Many of us do not appreciate this fact now — the knowledge these scribes had — though we do appreciate what is left behind from their learning, and their teaching. …more recent ones are in the collection too but revisiting earlier articles seems in order. 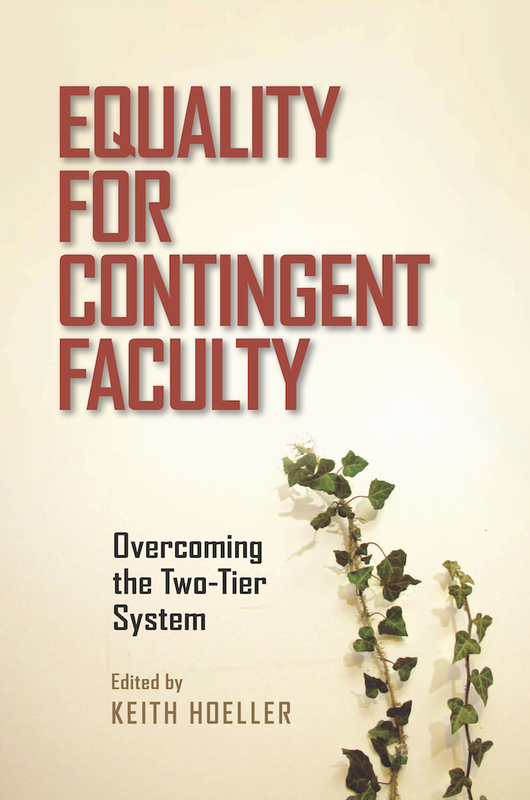 Some may be thinking of Keith's work just in terms of posts on the adj-l listserv, an occasional article and now his book, Equality for Contingent Faculty. There is actually a substantial body of work extending back 20 years or so. Otherwise, too much is happening in the adjunctiverse to cover in depth right here and now. 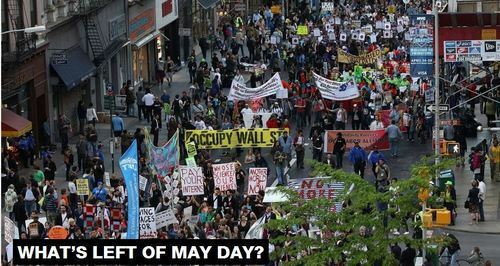 Besides, today is Sunday, and I already blogged two big, fat news aggregation posts, a Mayday wrap on #mobilize4equity and one on the still ongoing City College of San Francisco saga for COCAL Updates — feeds for both now on the page too. If that's not enough, a super guest post from Adjunct Justice's Ana M Fores (aka the better pay petition lady) is coming your way. …a wrenching lament reworking Malvina Reynolds' lyrics for"Mrs. Clara Sullivan's Letter" (music by Pete Seeger). This is the real #NCC news, not what you get from today's Newsday. For the rest of the real Nassau adjunct news, read Frank Reiser's blog, Adjunctsaurus. There's more from the rest of us on blogs, Democracy Chronicles' March of the PhDs, Ana Fores' Adjunct Justice and other social media. I'll be blogging and Storifying it at greater length. For now, let's make this a short post day—just listen and share. Then find something to do besides talking about what can't be done or what someone else should do. On our premiere of our new weekly audio newscast, the Teagle Foundation's Judith Shapiro and Ben Wildavsky of SUNY's Rockefeller Institute of Government join Inside Higher Ed's Scott Jaschik and moderator Casey Green to discuss the White House campaign on sexual assaults, the growth of campus Confucious Institutes, Google's decision to stop scanning university email for ads -- and the state of the selfie in higher education. Listen to this new program here. Copyright © 2014 Inside Higher Ed, All rights reserved.